Many thanks for your kind response, Marian. Maria, thank you for featuring Mixed Bouquet in the Exquisite Florals group. 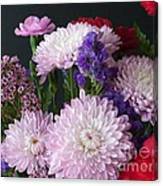 Randy, thank you for featuring Mixed Bouquet in the Wisconsin Flowers and Scenery group. Many thanks for your gracious response, Gina. Much appreciated. Many thanks for your kind comment, Deepa. Fred, thank you for featuring Mixed Bouquet in the We Paint Every Day group. 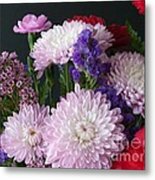 Jean, thank you for featuring Mixed Bouquet in the Greeting Cards for All Occasions group. Many thanks for your gracious response, Bobbie. Much appreciated. 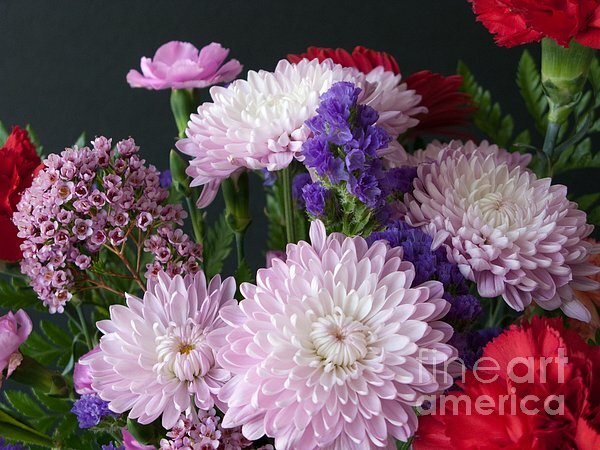 Becky, thank you for featuring Mixed Bouquet in the Black Background and Color group. Very glad you like these posies, Chris. Thanks a lot. Very pretty...especially like the mums. 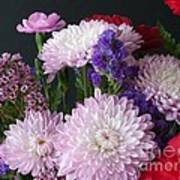 A mix of pink mums, red carnations, and various smaller blossoms of vivid hue combine to make a decorative bouquet. Copyright 2010 Ann Horn. ALL RIGHTS RESERVED. This copyrighted image does not belong to the public domain and may not be reproduced, copied, altered or manipulated in any way without the written permission of Ann Horn. ann-horn.pixels.com. pixels.com Group Features: Mixed Bouquet. Wisconsin Flowers and Scenery. We Paint Every Day.